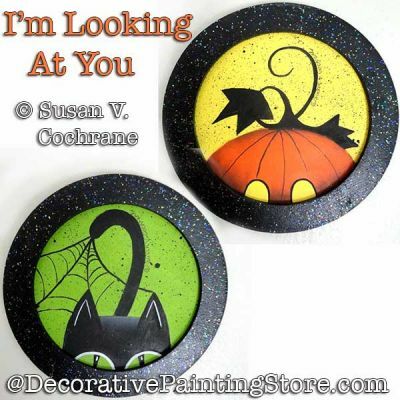 Jack-o-Lantern and Black Cat Ornaments in frame ornament. Approx. 3" wide. Enlarge or reduce as desired. Surface available from Viking Woodcrafts.